Winning the lottery is an exciting dream many of us have and would love to see come true. However, most of us are skeptical and think we'll never be that lucky to win the lottery. It's not to say that you definitely can win the lottery, but there are ways to increase your chances so that you have greater odds of winning. Here are some tips on increasing your chance of winning the lottery that may help you to actually fulfill your dreams. First you have to play the lottery to win the lottery. No one ever got lucky and won the lottery by not playing. Anyone who ever won, even a little amount of money on the lottery took a chance and played. If you want to increase your chances of winning the lottery, you should try to set aside a certain amount of weekly money to play the lottery. Choose the lotto game you like the best and decide how much you want to spend playing that lotto game. Then gets tickets every time that lottery game is played. You can only increase your chances of winning the lottery if you take a risk and play. Get to know the lottery games for your state either by picking up lottery pamphlets or by looking online. 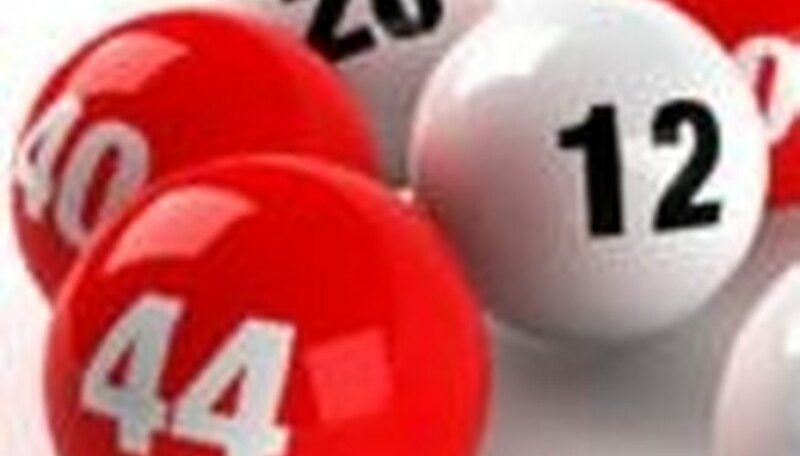 Understanding how your state's lottery games work will help to increase your chances of winning the lottery. If you don't know the lotto games or how they are played, you won't be able to understand how you can win each game. All stores that sell lottery tickets have lotto game pamphlets explaining each game. You can also look online by searching your state's lottery website through any search engine. For example, here is the online Pennsylvania lottery website: http://www.palottery.state.pa.us/Default.aspx. Check it out. Try getting lottery ticket numbers based on Quick Pick. Quick Pick is a way of choosing your lottery numbers for games by allowing the computer to randomly pick the numbers for you. Many people who have won the lottery have won with Quick Pick numbers. Some people believe that allowing the computer to randomly pick your lottery numbers increases your chances of winning because it knows all the numbers in the system and is bound to eventually pick the winning numbers itself. Next time you play the lottery, ask the store to get you a Quick Pick ticket and see how many numbers come up from that lottery ticket based on the computer's generation. Increase your chances of winning the lottery by searching your state's website for past winning numbers. These past winning lottery numbers are also available anywhere lottery tickets are sold and can be printed out for the past year. Many past winning lottery numbers repeat themselves and could be a good indication that they may come up as winners again. Find the past winning lottery numbers that have play a few times and use them when purchasing lottery tickets to increase your chance of winning the lottery. This is not a sure fire plan, but could work if the numbers have come up often. Many people use this method as a way to increase their chances of winning the lottery, especially when playing the daily number and the daily four. Have others go in on purchasing lottery ticket with you in order to increase your chances of winning the lottery. At work, may coworkers put in a dollar each and end up with enough money to get 40 or 50 lottery tickets for a larger lottery such as a Powerball (in Pennsylvania). Each person gives a dollar and writes their name on the envelope so as to keep track of who all put in money. One person takes all the dollars and buys that many lottery tickets. If one of the lottery tickets is the winning ticket, all the coworkers will share the lottery winnings. You can do this with friends or family as well. It increases your chances by being able to purchase more lottery tickets at a time and only having to put in a dollar instead of purchasing all the tickets out of your own money. Plus, it can be a fun thing to do as a group. Just be sure to elect one person you trust with all that money to purchase the lottery tickets. You'll increase your chances of winning the lottery by quite a bit this way. Talk to others who have won the lottery, even small amounts, to find out what works best for them. Everyone who plays the lottery and has won has a method they use when purchasing lottery tickets. Increase your chances of winning the lottery by finding out what others have done to try and win the lottery. Getting feedback from others is a great way to learn what methods have worked for them. Some people are just lucky when it comes to winning the lottery, but some actually use a certain routine that helps them to increase their chances of winning. Many people will share this secret with you. My grandmother used to use the same three exact numbers each time she played the daily number lotto and found that they worked best (555). However, you'll probably want to choose whatever method you're most comfortable with in order to increase your chances of winning the lottery.